A petition proposed for November would ban assault firearms and high-capacity magazines in Oregon. A group of interfaith leaders has filed paperwork for an initiative petition to ban the sale and transfer of assault-style weapons and high-capacity magazines with the Secretary of State's Office. The proposal would allow gun owners who legally obtained such weapons to keep them so long as they register the weapon with Oregon State Police and pass a background check, according to the text of Initiative Petition 42. "People who legally own assault rifles or large-capacity magazines will not be required to surrender their firearms but will be permitted to register their firearms with the state," said Penny Okamoto, executive director of Ceasefire Oregon. Violation of the law would be a Class B felony. "The people of the state of Oregon find and declare that a reduction in the availability of assault weapons and large-capacity ammunition magazines will promote the public health and safety of the residents of this state," the initiative petition states. If passed, the proposed measure would ban the sale of semiautomatic rifles that have any of a number of military-style features, such as a pistol grip or a telescopic stock. 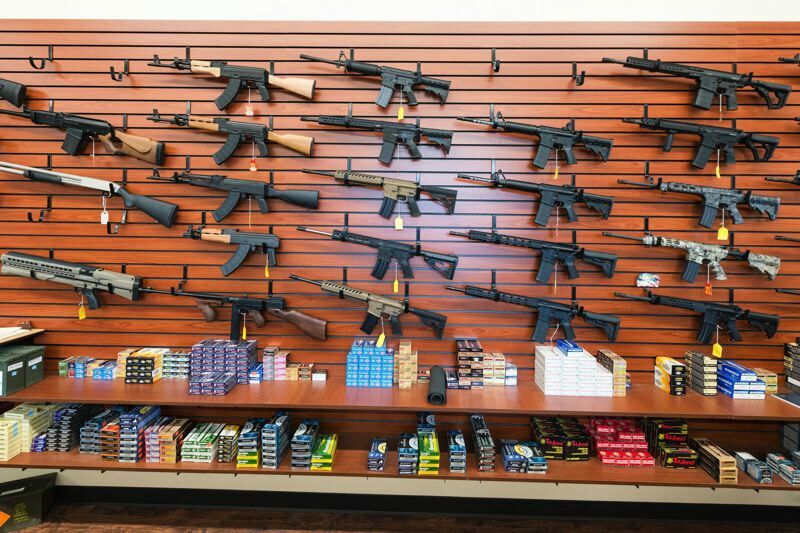 Restrictions on gun ownership have proven a divisive issue in Oregon. Yet a relatively recent public opinion shift in favor of more gun restrictions and national student activism for more gun control buoyed the group of interfaith leaders to accelerate the timeline for the ballot measure, said W.J. Mark Knutson, pastor of Augustana Lutheran Church in Portland and one of the initiative's three chief sponsors. The group had initially planned to propose the measure for the November 2020 ballot. Another round of rallies for gun control in Washington, D.C., and in cities across the country is scheduled for Saturday, March 24. Sixty-eight percent of all adults (and 48 percent of adults who are gun owners) approve of banning assault-style weapons, according to a survey last year by Pew Research Center. Petitioners must gather 88,184 valid signatures by July 6 to land on this year's November ballot.